Here at NorCal Garage Door Company we care about people in our community and honor Veterans. 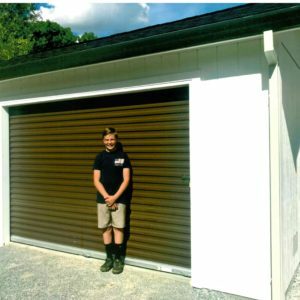 We recently donated a brand-new door to the Redding Lions Club for young Preston Sharp’s project for the Redding Breakfast Lions Club storage shed. Thank you for your hard work Preston and all your volunteer work helping put flags and flowers on Veterans grave sites. God Bless America! Preston Sharp in front of the donated door. 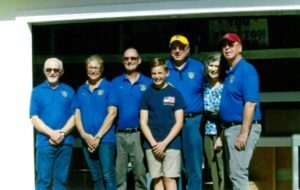 The Lions Club crew with Preston Sharp.